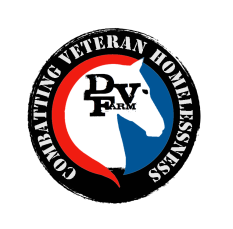 Based at a privately owned homestead belonging to a former homeless veteran, DV6, the DV Farm is operated by vets for vets; and provides practical rehab for homeless veterans via a combined program of housing & meals, animal assisted therapy, a structured work schedule and the camaraderie of fellow vets working together to reintegrate back into civilian life. Would you like to donate to the DV Farm? The visit the link here to find out the five ways you're able to do so. Do you have any questions concerning the DV Farm? Then send an email to info@DVfarm.org Please allow at least 7 days for a reply. We will spend virtually every nickel of what you give directly to benefit the vets under our roof. DV Radio Copyright 2014-2019 All rights reserved.